Living away from home with peers from around the world is an important education in itself. Students learn from—and teach—each other. A late-night conversation becomes eye-opening when a friend has a different perspective. Dormitories at Groton are small, housing from twelve to twenty-four residents. The warm, home-like atmosphere encourages dormmates to get to know, and understand, one another. What’s it like to live at Groton? If you could see check-in—the nightly gathering in every dorm—you’d have a good idea. Check-in is relaxed and casual—all dorm residents gather in their common room with the faculty member on duty. Dormmates lounge around, sharing stories, news, and ups and downs of the day. If there’s a problem to discuss, check-in provides a warm environment, like a family meeting, to hash things out. 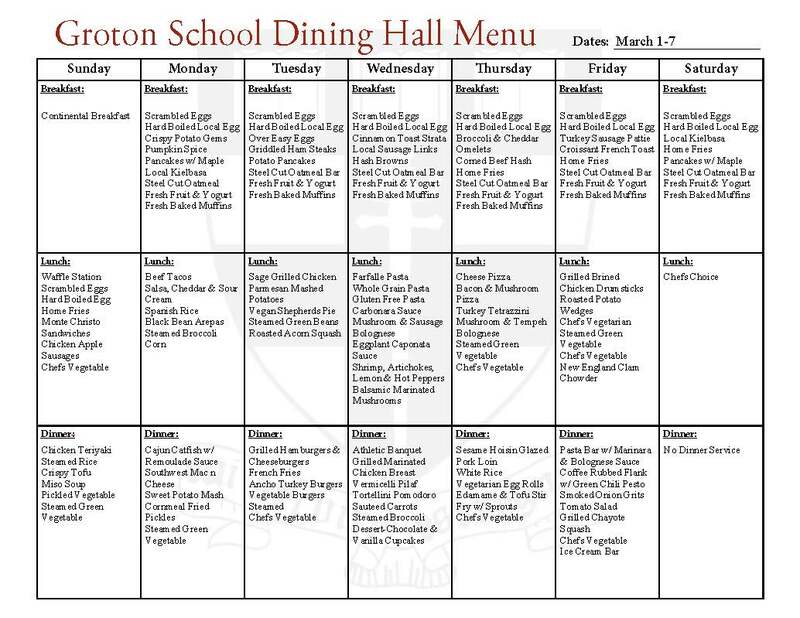 Often, the faculty member or dorm head provides a snack, which Groton calls “a feed.” A birthday might be celebrated, or an upcoming event planned. All Sixth Formers are dorm prefects and run their dorms’ check-ins. Check-in ends with a handshaking line. The faculty member and Sixth Formers line up and shake hands (or hug) each dorm member as they say “good night.” This tradition dates back to the school’s founder, Endicott Peabody; more than a century later, the day at Groton still ends with each student shaking the hand of the adult who is supervising. Handshaking encourages eye contact and familiarity; this simple tradition builds a sense of community, just as it did in 1884. My favorite part about being in the dorm has been getting to know people you otherwise wouldn’t interact with. I've loved hearing everyone’s stories and sharing mine. The dorm becomes your home and the place you feel most comfortable being yourself. Every dormitory is led by a faculty member who lives in an apartment inside the dorm. Dorms are named after their dorm heads, who provide constant guidance and actively supervise study hours three nights a week. Virtually every faculty member who is not a dorm head is a dorm affiliate. They “affiliate” with the same dorm all year and get to know the residents well; affiliates supervise one night a week plus occasional Saturday nights. In all, more than seventy dormitory heads and affiliates supervise dorms, offering continual supervision and support. Sixth Formers, as dorm prefects, run many aspects of the dorm, including nightly check-in. Younger students seek advice from their wiser, experienced prefects. Second Formers live in singles with curtained doors that surround a common room; Third Formers live in doubles and become accustomed to living with a roommate. Upper Schoolers live mostly in doubles, but also in singles and occasionally triples. Residents of every dorm share large living rooms called common rooms, adjacent to the resident faculty apartment. Common rooms are comfortably furnished, some with fireplaces, and have small kitchens. At Groton, Second Formers live with Second Formers, and Third Formers live with Third Formers. These Lower Schoolers lead a more structured lifestyle, with closely supervised study halls and strictly enforced lights-out. Fourth, Fifth, and Sixth Formers live together in Upper School dorms, except for Sixth Formers who are prefects in Lower School dorms. Fourth Formers learn to handle greater freedom, but still have supervised study hall hours and must spend them in their dorm rooms. Privileges and freedom increase in Fifth Form, and Sixth Formers help run the dorms. Structures and routines developed in the Second and Third forms help students manage their time with independence—good preparation for college.